How does one 'druid' exactly? 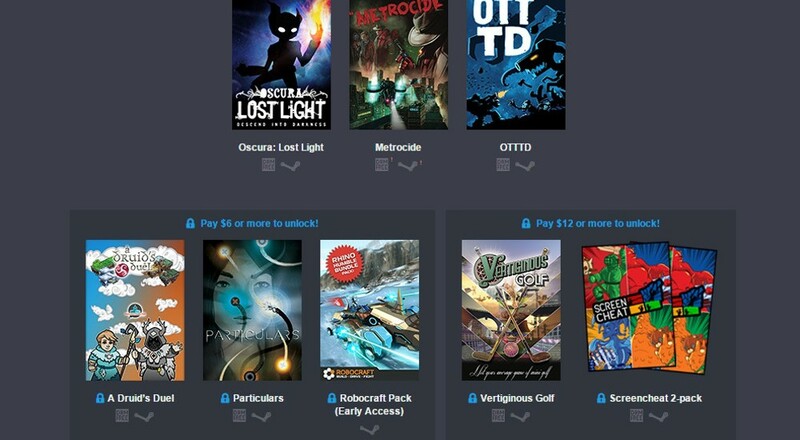 Another Humble Weekly Bundle has rolled onto the scene bearing gifts for indie gamers around the world. Dubbed "Surprise Attack", the pack features eight games, including three with co-op, all available for a (mostly) pay-what-you-want price. Leading the pack are a few indie games with creative cooperative modes. Vertiginous Golf is what would happen if mini-golf was a little more steampunk. It comes with a makeshift local co-op mode for two players. A Druid's Duel is a turn-based strategy game featuring angry druids and massive destruction using the power of nature. Hop online for matches or round up some local friends for team-based co-op tactics. Screencheat is an odd first person shooter built around the idea of looking at other players' screens. Everything's invisible, you see, so in order to get around, you've got to cheat by checking out your co-op mates' points of view. Local play is included as well as online multiplayer. If single player is more your thing, the Surprise Attack bundle includes Oscura: Lost Light, Metrocide, OTTTD, Particulars, and an Early Access pack for Robocraft. Unlocking the co-op games means paying a little more than the free-for-all base price model. To grab A Druid's Duel, you'll need to pay more than $6. For Vertiginous Golf and the Screencheat 2-pack, you'll need to beat the $12 mark. Page created in 0.6194 seconds.